Participation in Leadership Lafourche is open to persons with residence or employment in Lafourche Parish. Classes typically will consist of approximately 20-25 individuals. Because the number of appointments is limited, applicants who are not selected are encouraged to reapply in subsequent years. 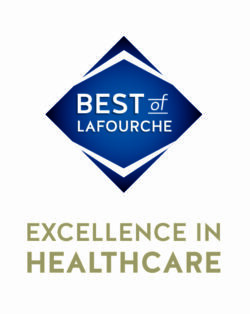 Participants in Leadership Lafourche will be chosen by the Leadership Lafourche Selection Committee based upon the information provided in this application. The Committee will be seeking representation from a demographic cross-section of the Parish. Participants will be community leaders and potential community leaders active in business, education, the arts, religion, government, law, media, labor, community-based organizations, and ethnic and/or minority groups, and will reflect the diversity of the Parish. Applicants must have the full support of the organization or corporation they represent. Attendance at the retreats and monthly sessions is mandatory. Any participant missing the opening retreat or the closing ceremony or more than one of the seven full-day programs will be automatically dropped from the program, and no portion of the tuition shall be refunded. All material included in this application will be held in confidence. The applications will be reviewed only by the Selection Committee. How would you prefer your name to appear in press? How many years have you lived/worked in Lafourche Parish? Include civic, religious, political, government, social, athletic, or other activities. Do not include business/professional activities. Indicate major role in the organization(s) at this time. If you have additional significant community, civic, religious, governmental, political, social, athletic, or other areas of active involvement, please describe below. Are there any important contributuions or achievements in any of the above which you consider significant, and what was your role in the accomplishment? Which of the following categories best describe your present position? What do you consider your greatest personal or career achievement? Describe what you believe to be your most significant contribution to the community (include former communities). What would you like to contribute to Lafourche Parish and your local community? What do you hope to gain from participation in Leadership Lafourche? Do you need to be considered for a partial scholarship for the program? Leadership Lafourche is limited to approximately 20-25 participants per year. In the event that you are not accepted to the current leadership class, would you consider reapplying for the following year's class? If personal or employment circumstances limit your possible participation in the current class, please explain.